My journey and experiences in life are not that different from tens of millions of people in our nation and billions around the globe. If we want better localities, if we really want a better world we have to entrust a large part of our future growth to libraries and allow them to empower, enlighten, and prepare us. We have to make a commitment to fight for them and make a conscious effort to use their services and programs. Now I'll tell you why they are so important to me personally. The late seventies and early eighties were very hard years for Americans in the lower classes. The precursors that would lead to the decimation of the working class, to ever increasing poverty, homelessness, and dis-empowerment were already at work. My family lived a fairly comfortable life in the late seventies, just the four of us. Lower middle class is about where we would fall if you chose to label us. My mom was a public school educator; she taught sixth grade, worked the full school day and then spent most evenings grading or planning. She really loved teaching. My father was a pressman, a term you don't hear much anymore. He worked very hard. He worked long hours and often worked six or seven days to try to make ends meet. My mom worked in town and did not drive and my father drove two hours each way to get to work. We had a house and one car, but only because my mother's parents had helped to make those things happen. My brother and I were in school, four years apart, and we always had what we really wanted. One thing I really loved to do was read. I had lots of books and I always wanted more. I read voraciously and I can tell you from experience that the old adage that a person who reads, lives a thousand lives before they die, is very true. What's more important is how much I've learned from all those varied lives. Like most people we were close to the financial edge and we had the unfortunate luck of being pushed over it as the eighties approached. My mom was quite ill for several years, requiring surgeries, hospitalizations, medications, etc. Her illnesses would compound over the next two decades.Within a couple of years we lost the house, the car, and everything that had been a part of our life, save each other, was gone. We always had a roof over our head, we always had food and presentable clothes to wear, and to a great degree my brother and I always had the things we needed for school. My parents made tremendous sacrifices to make sure that was true. For me libraries helped to fill the gaping hole left in our lives. No matter where we were there was always a library. On weekends we would all go to the library as a family. Well, my mom, brother and I would, dad would normally stay in the car and sleep. Working at night and working lots of double shifts will do that to you. I'd take out six books each time and have them read by the next weekend and my love of learning only increased with each book I read. Books, newspapers, magazines, reference materials were there for everyone. They had gallery shows at the library, poet, writer and author nights, cultural and historical features, book clubs, and art and craft activities. 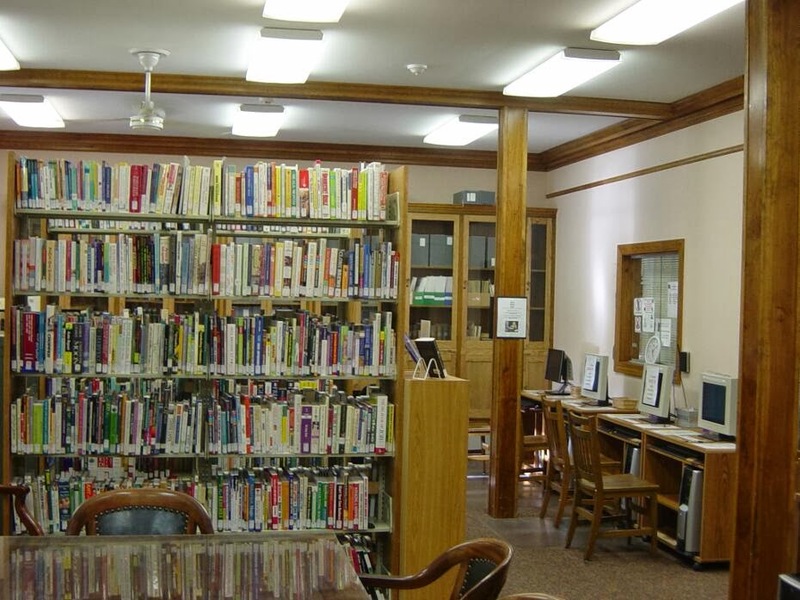 In every library community news was just as you walked in and if you expressed even a small interest in something, the librarians always knew what to point you to, whether it was in the form of a book, a person, or a place. I learned to use computers at the library, well if you don't count making that print out picture from code in school. Years later I'd be able to get films, music, and audio books at the library and programs just seemed to expand no matter what library you were in. Best of all every one of these things was available without a fee from the library. I read the second book I ever read about LGBTQ at the library when I was a young teen. The first book was in a bunch of books that were hand me downs from a cousin; it was short, disheartening, and didn't really help me because the real issues of the protagonist were hidden. Being a teen I could go to the library alone and the librarians unknowingly helped me through some tough days; they kept me away from that edge which no one comes back from. They steered me clear of the psychology section and showed me the works of the great LGBT writers and poets of the late nineteenth century and the early and mid twentieth century. They showed me some of the works of emerging authors of the LGBT community, people who would eventually become household names; they showed me I had a bright future, even though I couldn't see it yet. It isn't easy being a gay teen in the South, but they made it a bit easier. The library was a sanctuary for me where the playing field seemed leveled. I was never bullied, I was never belittled for being smart or inquisitive or not seeing the distinctions everyone else seemed to hold so dear. I was always treated with dignity and respect. I learned to value myself there and to value other people even when they didn't agree with me. My second hand clothes and cheap glasses didn't matter at the library. The library helped to teach me what was really important in life. Community-building connections, is all that really matters. Taking care of each other is all that matters. I have to tell you that as I went through my twenties and early thirties my use of libraries went down. It wasn't a conscious effort, but as I put more effort into personal endeavors and built a life for myself I didn't seem to need the library so much. Relationships came and went. Jobs came and went. Things ambled in and out of my life based on whim and need and to be honest I became somewhat self concerned like so many of us do. Now that I've reached middle age I've realized that push for self realization was a false, indulgent, unsustainable, endeavor. When I first came back to libraries they were patiently waiting for me in the background. They had not stayed the same, rightfully so; to be stuck in the past is the worst fate I can imagine for a library. The great stacks still exist in most libraries, but now they have ample space for meetings and collaboration. More modes of imbibing information exist and libraries do their best to keep up with our ever changing consumption of data and media. Transliteracy is a central piece to most mission statements and the cultural and digital advancement of patrons is globally linked. One thing that hasn't changed is their commitment to building communities and opening opportunities for everyone. Libraries gave me the intellect, the compassion, and the wisdom to be a good citizen. There is no better institution poised to empower such a large cross section of our people than libraries. Libraries exists to strengthen our localities and make them whole. Libraries do not focus on specific groups in their communities; they are all inclusive. Libraries do not try to place band aids on systemic issues, they confront them where they originate, within each individual. Libraries seek to unite us through our differences and our similarities. Different genders, races, ages, people from varied backgrounds and modes of thought can all come together in one place with no entrance fee or price tag attached. Libraries are the last existing localized nexus that truly can unite us all. In the face of constant defunding of social services and infrastructure, shrinking budgets, and lack of vision from many of our elected officials, we need to invest in libraries more than ever to strengthen and rebuild our communities.